Congratulations to ACEMS PhD Student Tui Nolan (UTS) for being awarded the Aboriginal and Torres Strait Islander STEM Professional Early Career Award. The award is in recognition for Tui’s outreach work with the Indigenous community on the STEM front. Those include his work with Indigenous outreach programs such as ASSETS with the CSIRO, the NRL School 2 Work Program, and various outreach programs with the Aurora Education Foundation and UTS: Jumbunna Institute for Indigenous Education and Research. “In these programs I've encouraged Indigenous students in secondary school to take on degrees in STEM, an area where we are still under-represented,” said Tui. The Indigenous STEM Awards are part of the Indigenous STEM Education Project, a partnership between BHP Foundation and CSIRO. The awards recognise the achievements of Aboriginal and Torres Strait Islander students, teachers and STEM professionals as well as schools, teachers and mentors working in Indigenous STEM Education. The award is just one part of what’s sure to be a very busy and memorable year for Tui. 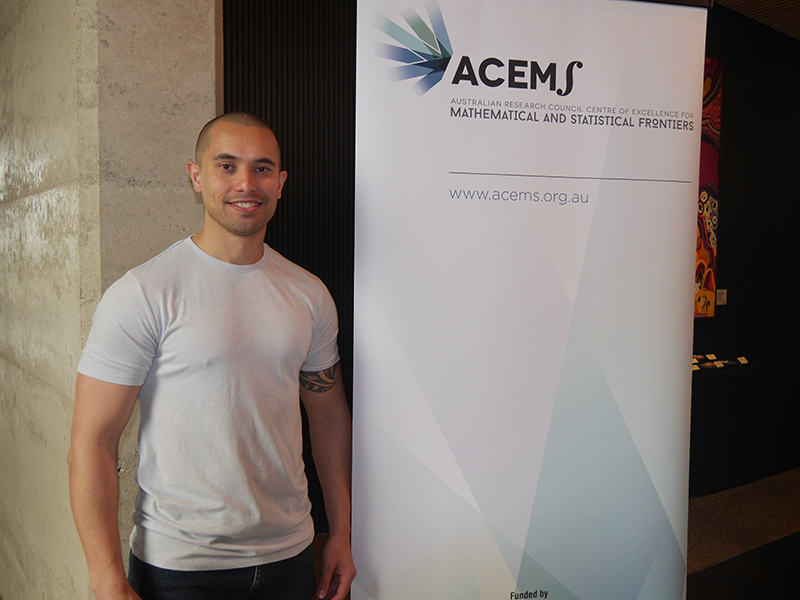 He is finishing up his PhD at UTS, under the supervision of ACEMS Chief Investigator Matt Wand. As we speak, he is in London at the Alan Turing Institute, doing some collaborative work with former ACEMS Research Fellow Chris Oates. That came about after the Australian Academy of Science awarded Tui the inaugural Aboriginal and Torres Strait Islander Scientist Travelling Research Award, allowing him to make the trip to the UK. Later this year, Tui will travel to Cornell University in New York, after he was awarded a Fulbright Scholarship last year. Tui Nolan is a Gudjal man, who grew up in Sydney. Well done, Tui, and keep up the good work!